Since YWCA O‘ahu offered its first swim lesson at a rented pool in 1912, its aquatic program gained a reputation as a valuable community resource. Our Aquatics Department strives to provide a safe, nurturing environment for swimming education and recreation. We emphasize positive reinforcement to encourage confidence and self-esteem in participants. YWCA annual membership is required for all aquatics programs. Health and Wellness membership is required for lap and recreational open swim at YWCA Laniākea. Swim in our heated pools at both Kokokahi and Laniākea YWCA. Click on the links below to view our lap and recreational swimming schedules. Join our members for fun group cardio-aquatics exercise! Only YWCA annual membership required. Must be a Health and Wellness member. As an island community, water safety is a priority. Our Water Safety Classes are designed for students ages 6 to 12. These classes are unique in that they give students the confidence to be in and around water, improve their knowledge of aquatic environments, and an introduction to swimming techniques. Students with more experience will build on the skills they already possess. Elementary schools, home schooling programs and interested groups can specialize and create their own experience with our Aquatics Manager. Please call our Kokokahi office at 808.247.2124 x201 or email us for more information. Rent our pool at Kokokahi YWCA for private use or for your next pool party! Please visit the Kokokahi location page to inquire about facility rental. Include Address, City, State & Zip. Please check all that apply. *Private and Semi-Private Swim Class reservation policy: Once registered, YWCA O'ahu will reserve the participant's slot for all future sessions. However, if the participant does not confirm their continuation for a future, unpaid session, within 5 weekdays of the registration deadline, YWCA O'ahu will re-open that class to the public. If you are unsure, please view the bottom of the Aquatics page and click "Let's Play" on the swim level quiz. You can also call 247-2124 x200 to determine the most appropriate class level. Please refer to the class schedules! What class day and time is your second choice? What class day and time is your third choice? Have a promo code? Type it in below. If other was selected above, please use the text box below to let us know how you have heard of YWCA Aquatics. We do not provide credits or refunds for missed classes. Missed classes due to acts of nature or other unforeseen circumstances cannot be rescheduled and a credit or refund will not be issued. Cancellation requests submitted after the start date of the class will not be issued a credit or refund regardless of attendance. Refunds or credits due to medical reasons must be accompanied by a doctor’s note in order for fees to be waived. Credits will be issued for classes canceled by the YWCA in case of instructor absence. LATE FEE: A late registration results in a fee of $15. POOL CLOSURE Credits and refunds cannot be issued due to unforeseen circumstances, including weather conditions that result in pool closures. We will make every attempt to accommodate for the lesson. PARENTAL SUPERVISION For the safety and wellbeing of your child and other participants, a parent/guardian must remain on campus at all times while swim lessons are in progress. During the registration process, please make sure to disclose all relevant information about their medical history, including allergies, physical limitations, and behavioral concerns. PHOTOGRAPHY/VIDEOTAPING: YWCA Oʻahu staff are the only authorized photographers on the pool deck. Videotaping is not allowed. ADDITIONAL INFORMATION: A parent/guardian must accompany children and have a valid YWCA Oʻahu annual membership. As a courtesy to all participants, students who arrive 15 minutes after the class start time will be unable to join the class. Swimmers who are not potty-trained must wear plastic swim diapers. I acknowledge and understand the Refund/Cancellation Policy and YWCA Oʻahu Aquatics Rules. Thank you for completing our pre-registration form! You will receive an email within 1-3 business days confirming the class availability along with instructions for online payment. All registrations are processed on a first come, first served basis. Please note that the registration process is not complete until payment is received. All payments are processed through our Kokokahi location, 45-035 Kaneohe Bay Drive, Kaneohe, HI 96744. Please check all that apply. *Private and Semi-Private Swim Class reservation policy: Once registered, YWCA O’ahu will reserve the participant’s slot for all future sessions. However, if the participant does not confirm their continuation for a future, unpaid session, within 5 weekdays of the registration deadline, YWCA O’ahu will reopen that class to the public. I acknowledge and understand the Refund/Cancellation Policy and YWCA O'ahu Aquatics Rules. Thank you for completing our pre-registration form! You will receive an email within 1-3 business days confirming the class availability with instructions for online payment. All registrations are processed on a first come, first served basis. Please note that the registration process is not complete until payment is received. All payments are processed through our Kokokahi location, 45-035 Kaneohe Bay Drive, Kaneohe, HI, 96744. 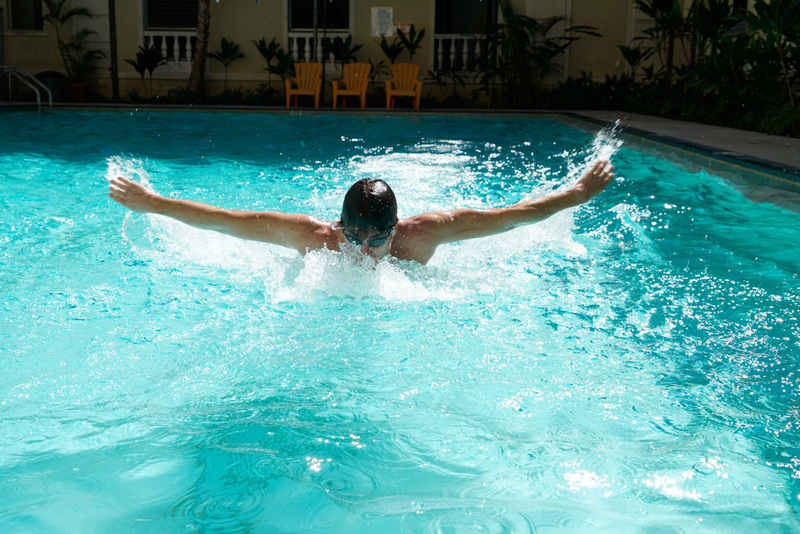 Our comprehensive swim program is offered at our two pool locations. With a low student-to-teacher ratio, our swim classes are safe and great for first time swimmers at any age! All aquatics staff members are experienced Water Safety Instructors. Classes are offered at various times to fit your busy schedule. For schedules for prices, please see the information provided below. Learn more about our Aquatics program rules and guidelines here. For over 20 years, we offered adaptive swim classes to the Windward community at our Kokokahi location. We currently operate the state's Department of Education Adaptive Swim program, providing swim instruction to students with disabilities and severe impairments of all ages. Although progress takes much patience, the accomplishments made by each student are significant. 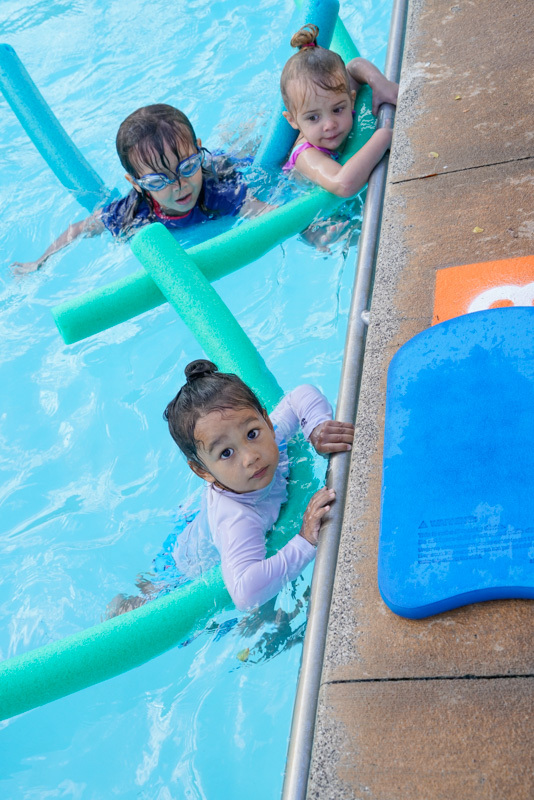 Offered at both Laniākea and Kokokahi, this class is designed to teach parents how to make that first experience in the water with their baby/toddler a positive one. 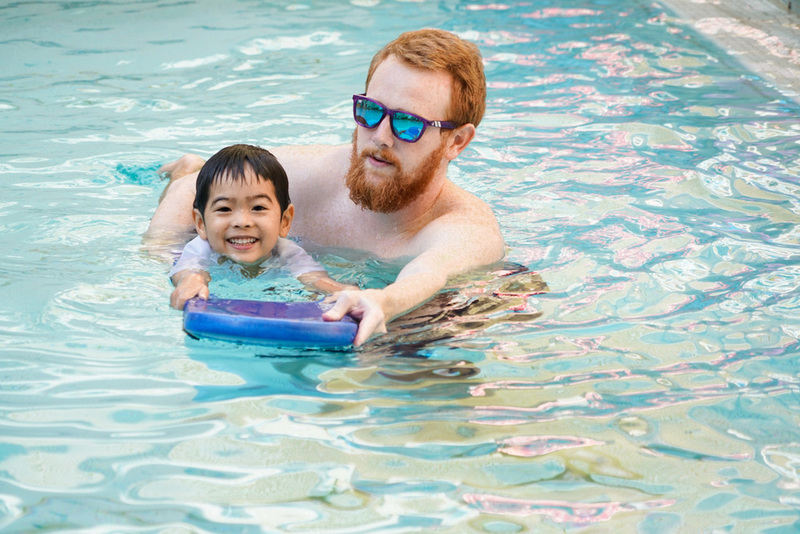 Our instructor teaches you how to enter the pool with your child, adjust your child to the water and explore the underwater environment with your child. All classes are taught in our heated pool (a necessity when teaching infants and toddlers to swim). Offered at both Laniākea and Kokokahi locations. From non-swimmers to advance, these classes provide an introduction to fundamentals of water safety and swimming. Limited enrollment of 5 per class. Offered at both Laniākea and Kokokahi locations. Levels work on swim skills from basic to competitive. Limited enrollment of 8 students per class. Offered at our Kokokahi location. For all levels, from non-swimmer to advanced. Levels work on swim skills from basic to competitive. The goal for Adult Swim Classes is to gauge what the student wants to improve and work to their strengths. Each individual is different and unlike most children, adults tend to know what they want out of swim lessons. Offered at both Kokokahi and Laniākea locations. For all ages and abilities, Semi-Private Classes are offered at normal schedule times or upon request. Semi-Private Classes are designed to give students more one on one time with the instructors. Limited enrollment of 2 students per class ( 3 students permitted upon request). For all ages and abilities. Offered upon request at both Locations. $30.00 per class.